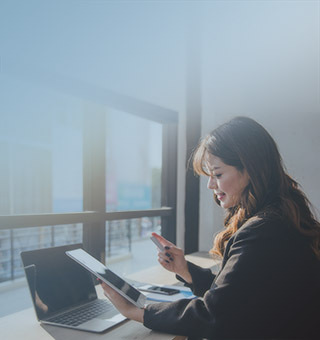 Commercial CardsManage and streamline purchase and payment processes, and enjoy data consolidation and on-demand financing, plus numerous promotions and cash-back rewards. Please fill in the fields below so we can get in touch with you. Yes, I would like to receive information about special offers and/or promotions from RHB Group relating to their products and services. - Enjoy Unlimited 1% Cash Back on your overseas business retail spends and Unlimited 0.5% Cash Back on local business retail spends (not eligible for petrol, cash advance, government, charity, JomPAY and FPX transactions). - Track business expenses and payments with RHB's online cash management platform. - Manage expenses and track spending trends with comprehensive data capture. - Enjoy up to 50 days of charge-free period from the first transaction date. Joint & Several Liability: Where the business is liable for the total debt of every card issued in its name, in addition to the individual cardholder (the employee) being jointly liable for debts incurred under the card issued to the individual. Sole Liability: Where the business is solely liable for all charges incurred under the card issued. - Company and suppliers can take advantage of a streamlined procure-to-pay process. - Accelerate the reconcilitation process. - Suppliers enjoy the ease and expediency of payment acceptance and expedite delivery of goods. - Cost savings by eliminating cheque and paper invoices. - Empowering employee purchasing control and departmental expenses compliance. - Manage and free up cash flow up to 50 days of charge-free period from the first transaction date. Having such immediate access to funds enables you to make payments to suppliers almost instantly. - Consolidation of transaction data to improve management audit and enhance analysis and expense reporting. - Centralised local and global spending. - Card administrator and cardholder can access transactions via RHB Reflex Online Cash Management. - Consolidate and monitor employer spending and purchasing information. - Analyse preferred vendor programmes. Streamline and simplify your business expenses for better record keeping. Daily tee off with no green fee charges at participating golf clubs in Malaysia. Escape from the boredom before boarding with RHB Platinum Business card that grants you 5x complimentary access to Plaza Premium Lounges in Malaysia in a calendar year and a discount of 25% off the walk-in rate from the sixth visit onwards. Exclusive 25% discount at all Plaza Premium Lounges in Malaysia for all accompanying guest. What's more? You are also entitled to a special 20% discount at Plaza Premium Lounges all around the world. Apply now or download and complete the application form to get your card and enjoy premium lounge access! Note: Thereafter, a discount of 25% off the walk-in rate will be charged from the sixth visit onwards for Signature, World & Platinum Business Credit Card transacted during the visit at Plaza Premium Lounges in Malaysia. Special 20% discount at Plaza Premium Lounges all around the world. L2M-2, 3, 4&5, Level 2M, Gateway@klia2, klia2 Airport Terminal, 64000 KLIA, Sepang, Selangor Darul Ehsan. S6-3-A03, Level 3, International Departure, klia2 Airport Terminal, 64000 KLIA, Sepang, Selangor Darul Ehsan. RHB Platinum Business card makes your spending much flexible and easy on your pocket with its Smart Instalment, Dial-An-Instalment and Smart Pay services. You can also enjoy shopping, golfing and other privileges while being covered by travel insurance of up to RM600,000. 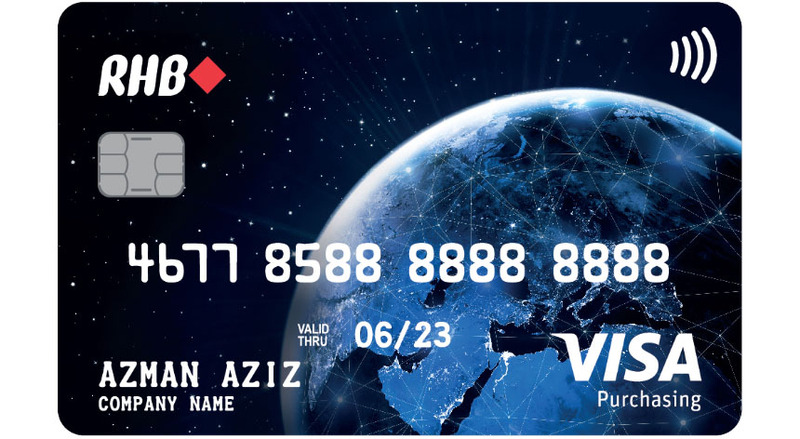 What is RHB Platinum Business Credit Card? What is the benefit of RHB Platinum Business Credit Card? Lower interest rate of 15% p.a. Who is eligible for the RHB Platinum Business Credit Card? How do I enquire and apply for the RHB Platinum Business Credit Card? 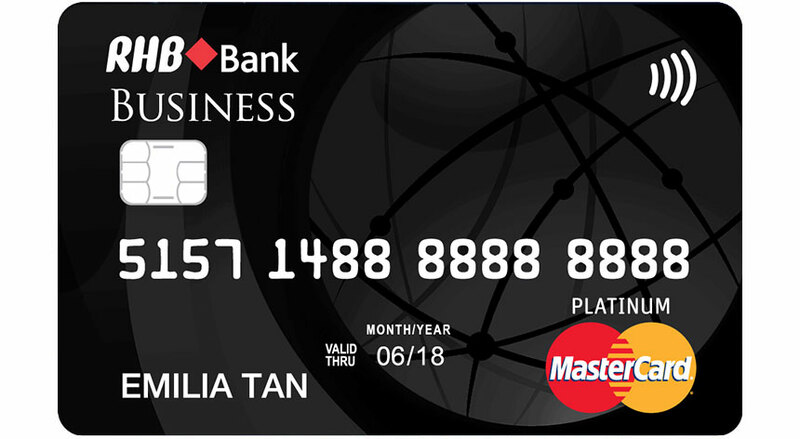 What type of card is the RHB Platinum Business Credit Card? How many employees or partners of the company can hold the RHB Platinum Business Credit Card? How will the RHB Platinum Business Credit Card be sent to me? Will all the individual RHB Platinum Business Credit Cards of a company be sent to the same address? What are the other benefits of RHB Platinum Business Credit Card? Is there a different statement design? Or a different statement cycle date? How long does the processing of the RHB Platinum Business Credit Card application take? Is there a different customer service line for RHB Platinum Business Credit Cardmembers to call for enquiries? Will the company name be embossed on the RHB Platinum Business Credit Card? What is the process if additional nominees are to be nominated to hold the RHB Platinum Business Credit Card? Can I apply for a personal credit card in addition to the RHB Platinum Business Credit Card?